Teen Yoga Foundation - Empowering young people. As we embark today on our second whole school approach to wellbeing through yoga at King Edwards School in Bath, I am continuously grateful and surprised by the insight and adventurous spirit of schools in the BANES area. 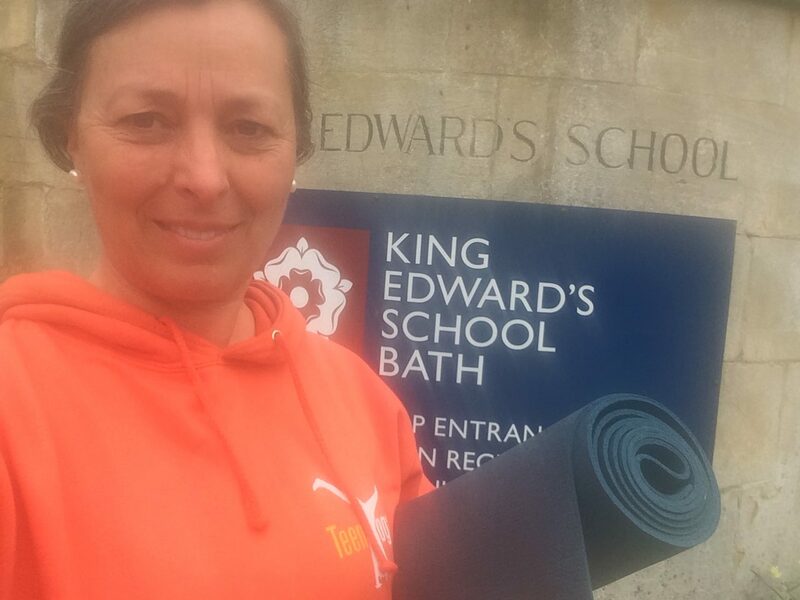 A few years ago, Kingswood school embraced the whole school approach to yoga, starting with classes for certain age groups, expanding the provision, to include all students and the parents. In parallel the schools employed the Foundation to train 12 of their in-house teachers to deliver yoga to their tutees and students. All the while, we continue to teach the teachers and further their education in yoga. 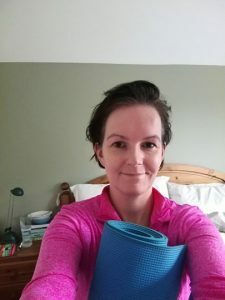 This approach has proved successful, as it is a non-invasive and gentle opening to yoga for everyone involved over a period of time, encouraging a culture of self care. It has increased the morale of teachers, who feel cared for and supported, it has improved the atmosphere in the staff room, with calmer staff and most importantly, the students have benefitted both directly through learning stress-busting techniques and indirectly through being taught by focussed and relaxed teachers, who are modelling optimal pro-social behaviour and mood due to their own practice. 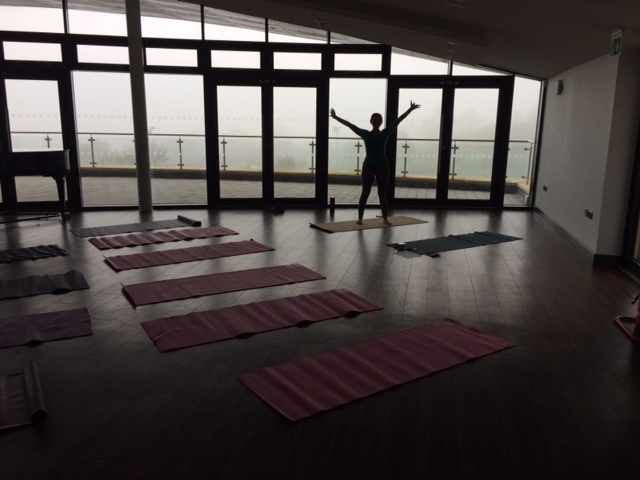 Previous to this, the insightful and fully trained Iyengar teacher and Head of Ralph Allen had been teaching yoga to all her staff at Ralph Allen – a tradition which the Foundation continued and expanded to 40 students per week as well and is now in its 10th year. Other schools who also benefit from yoga especially designed for them are Hayesfield in Bath, St Greg’s Catholic School and Prior Park College. All have TeenYoga graduates sharing yoga. 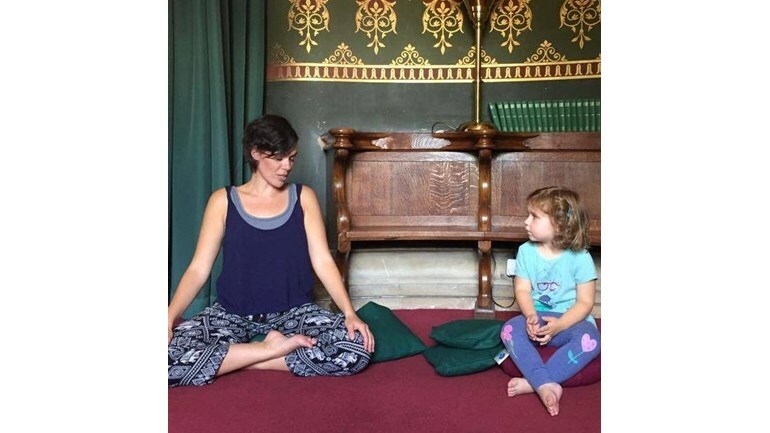 Norton Hill School and Writhlington in Midsomer Norton have both been offering yoga to their students now since 2003 to a smaller degree, but nonetheless it has been impactful. For many years Norton Radstock College (now Bath College) also offered yoga as part of their enrichment curriculum. 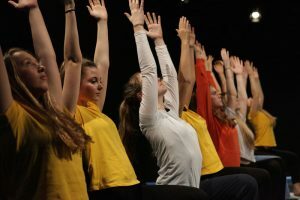 “We have been considering whole school wellbeing at Kingswood for some time and considering various ways in which we might support the whole school community in taking care of their physical and mental health”. 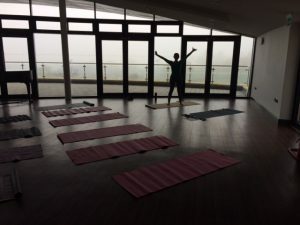 Various initiatives have arisen from this whole school approach, with yoga classes being one particular example which has really engaged both staff and students. We have had incredibly positive feedback from staff who say that practising yoga releases the tension in body and mind and teaches them techniques which they can use in day to day situations to help them manage better at particularly busy times in the school term. A number of staff have now trained as yoga teachers and this, in turn, is allowing us to roll out a programme to support the students. Bath has long been known to be host to an impressive and constantly high quality group of forward looking schools, scoring high on the league tables and drawing students from all around the world, so their openness and awareness of the salutogenetic properties of yoga may be heralding an optimistic rise in yoga in schools across the nation as an affordable and smart therapeutic and preventative intervention for both staff and pupils. Charlotta, at King Edwards School, on a foggy April morning! 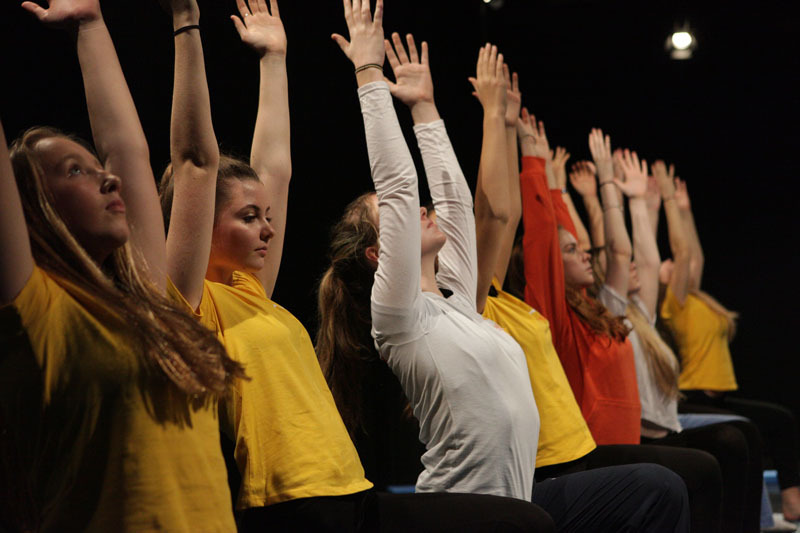 As you may already know, we are working with Westminster University Psychology Department in a project that looks at the effects practicing yoga can have on young people’s stress and wellbeing. The aim is to get more evidence of the benefits of yoga for young people. This will be useful for yoga teachers when they talk to schools and parents, and for the Teen Yoga Foundation when we look for funding for further research. It would be great of you could help us. Our research will focus on a simple “before/after” questionnaire with as many young people who are doing yoga as possible. The questionnaire will be accessible by mobile phone (or paper if preferred) and take about 10 minutes. They would do it at the start of the first class and again after six classes. You can also help by sharing this message. We publicise on our website and Facebook and other social media but we know that Facebook will not show the post to everyone, and not all are on Facebook! To that end, please could you share the message directly with the teachers that you know – ​through all the channels you use, not just through a Facebook share, although this is also helpful. 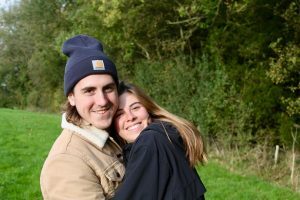 One of the people running for the Teen Yoga Foundation at the Bath Half Marathon on the 4th March is Ian Watson. Ian is a Chartered Engineer working for the energy company E.ON. “The Teen Yoga Foundation provides a range of amazing support activities for disadvantaged children and teenagers in schools, community centres and anywhere else it is needed (for example, following the Manchester bombing last year, Teen Yoga provided free training to school teachers to help those who were at the concert and who were suffering post-traumatic stress). There is a currently a big focus on young people who have found themselves homeless and/or recovering from drug addictions. 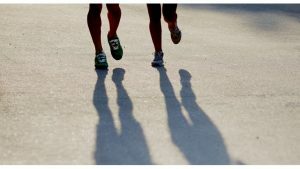 Some of the people coming to run at the Bath Half for the Teen Yoga Foundation are training together. 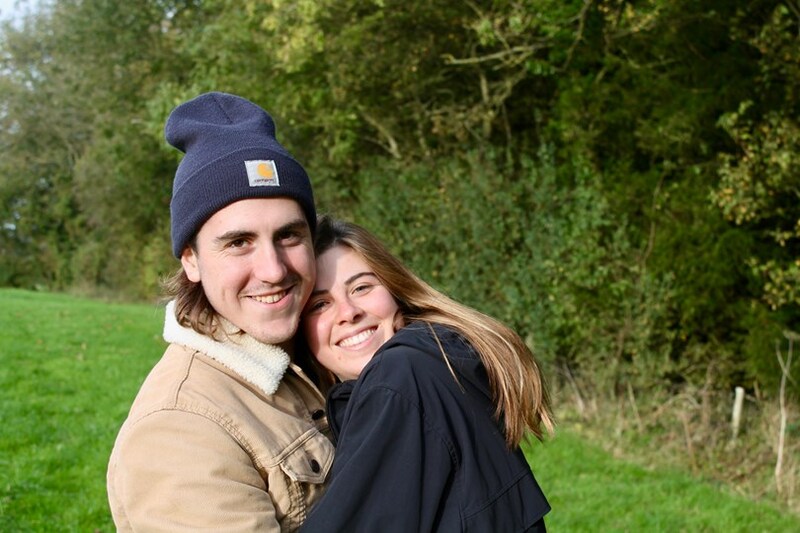 This is the case of our Spanish runners, Lucia Huerta and Nick Kearney, who are coming over for the event. 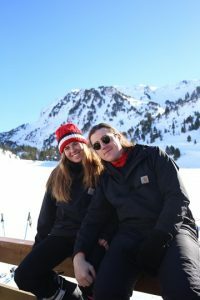 They have been training together over the past few months in Valencia, and are hoping for sun on the 4th March!!! 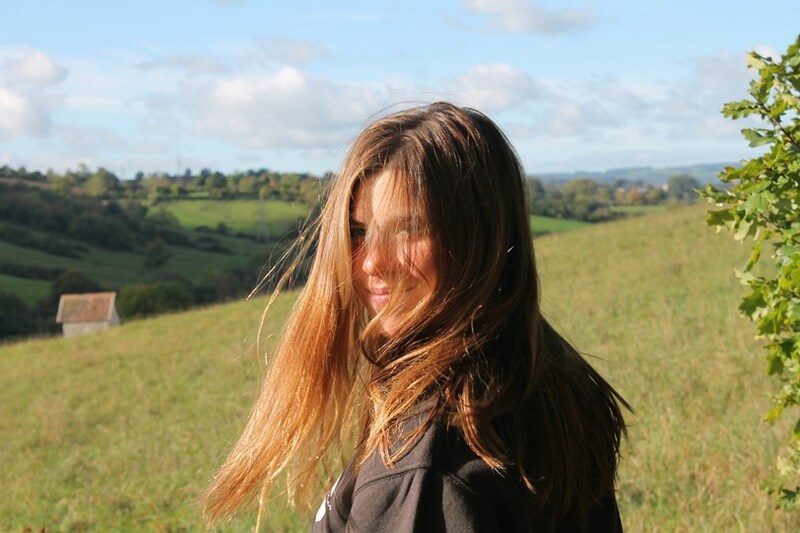 One of the people running for the Teen Yoga Foundation at the Bath Half Marathon on the 4th March is Sofia Mason who works at Royal Holloway, University of London. 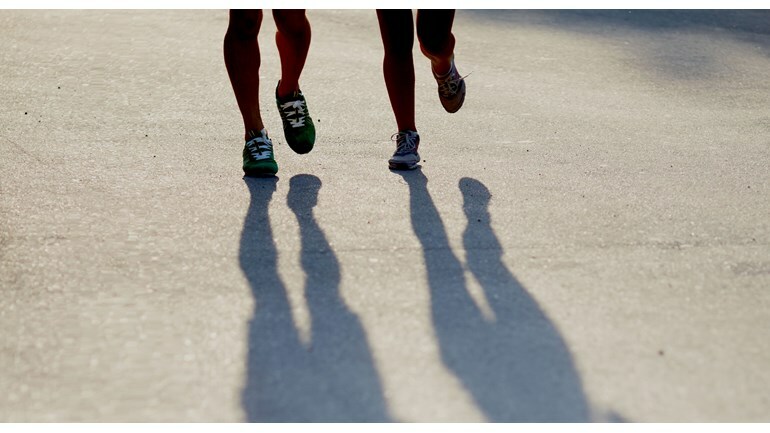 “I am running so the Teen Yoga Foundation can keep expanding their great work! It has been years since I ran a half marathon for charity, I’ve done 4 in the intervening time and not asked for a penny! But my sixth half marathon will be for the amazing Teen Yoga Foundation because they do amazing work resourcing teens with physical, emotional and spiritual tools that will help them survive and thrive for the rest of their lives. As you know, yoga saved my life and I’d love to help share this gift with young people. 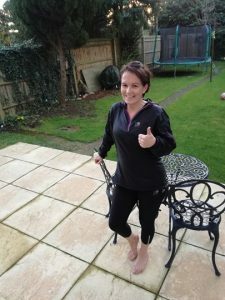 One of the people running for the Teen Yoga Foundation at the Bath Half Marathon on the 4th march is Ruth Spencer-Carr. Ruth is a school health nurse working in a secondary school in Oxford. She trained as a yoga teacher in August 2017. She had never really run regularly before signing up for the Bath Half, except for the Race for Life 5K a few years ago, so this is a major challenge for her. Her training is going well though, and she has progressed up to 10 miles slowly but surely over the last months. The Teen Yoga Foundation is delighted to be participating in the Bath Half Marathon for the first time in 2018 and we have a fantastic team of runners. 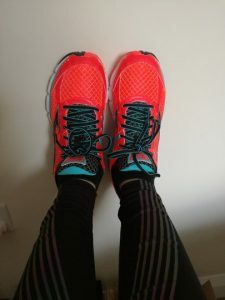 The Bath Half Marathon is one of the most popular and longest established mass-participation running events in the UK, and one of the leading warm up races for the London Marathon. We are always looking for ways to support the work we do. Over £2.2 million pounds was raised at the 2017 Bath Half Marathon, and indications for the 2018 event are that this figure will be surpassed again. 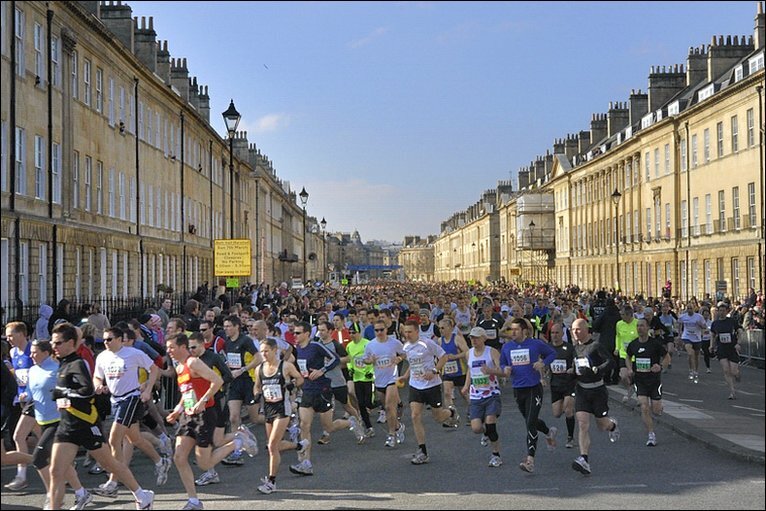 As the largest single day fundraising event in the South West, the Bath Half Marathon represents a valuable revenue stream for a number of charities and voluntary groups. This sponsored approach seems to work! These are our runners. Over the next couple of weeks we will be posting about each of them individually, but you can donate at their Just Giving pages. Please let us know if you would like to be part of the team on the day – we’d welcome locals who would come and cheer on our runners, offering refreshments, smiles and hugs. Contact Janet on 07951566119 or janet.macleod at teenyogafoundation.com if you’d like to get involved. RESEARCH PROJECT STARTING– PLEASE JOIN US! This week Westminster University Research Ethics Committee gave the go-ahead for the our new research project with their Psychology Department. We are going to look at the effects practicing yoga can have on young people’s stress and wellbeing. It would be great if you could join us in this project! The aim is to get more evidence of the benefits of yoga for young people. This will be useful for yoga teachers when they talk to schools and parents, and for the Teen Yoga Foundation when we look for funding for further research. And for this we need your help. Our research will focus on a simple “before/after” questionnaire over a six-week period with as many young people who are doing yoga as possible. The questionnaire will be accessible by mobile phone (or paper if preferred) and take about 10 minutes. They would do it at the start of the first class and again after six classes. The process is very simple: you get in touch, we send you instructions, yoiu ask any questions you may have, and then get the young people to do the questionnaire (and do one meanwhile yourself) . NEW TEEN YOGA RESEARCH – PLEASE HELP US! We are about to start a new research project with Westminster University, and we need your help! One of our main objectives at the Teen Yoga Foundation is to get yoga into schools and other places where young people are. We feel it should be part of the curriculum and the NHS. This would radically increase the reach of yoga and the demand for it among young people, which would be valuable for everyone, especially as Sportivate funding disappears. However, when we go to large funding bodies to ask for funds to do this kind of work, they won’t provide them until they see stronger indications that yoga research is worth funding. So, we need to collect that initial evidence. And for this we need your help. Our research will focus on a simple “before/after” questionnaire over a six-week period with as many young people who are doing yoga as possible. The questionnaire will be accessible by mobile phone and take about 10 minutes. They would do it at the start of the first class and again after six classes. The questionnaire will be centred on their wellbeing (and we would expect their sense of wellbeing to improve!). The process is straightforward and simple: you get in touch, read the instructions, ask any questions you may have, and then get the young people to do the questionnaire (and do one meanwhile yourself) at the beginning of the course and after six classes.